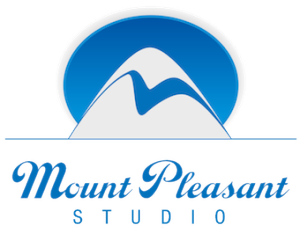 Mount Pleasant Studio is committed as a company to ensure the workplace is in compliance with the relevent requirements under the Health and Safety Act. All clients, contractors and employees must comply and co-operate with the safety statement and relevant risk assessment forms to be provided by the production company whether in house or external. The management will regularly review and monitor all work activities and where necessary amend and improve safety procedures. Although it is the responsibility of the production company to implement health and safety it is the duty of all employees, contractors and clients to be responsible for themselves and others at all times. On external hire of the film and TV studio the studio manager and/or senior member of staff present has the authority to point out any risks, the degree of risk and prevention of any problem, if the production company is putting either personnel or equipment or property at risk. He or she has the authority to prevent a situation arising if the production company concerned are inactive. It is the responsibility of the production company concerned (whether internal shoots or external) to provide health and safety assessment of each shoot, and to take suitable steps to implement safety proceedures. It is the responsibility of the production company concerned to have full production insurance to cover all personnel, equipment and property. Safety is in addition a condition of employment – each employee must accept responsibility for the working safely to safeguard both him/herself and others who are affected by his/her activities. If specialised stunts/fire/water/rigs/effects etc are involved, then they must be supervised by experienced and qualified personnel, and full insurance taken out to cover such stunts/effects. this is the responsibility of the production company concerned at all times. Mount Pleasant Studio cannot be held responsible for any accidents or injuries that result from ignoring the current risk assessment, or for any person under the influence of alcohol or drugs (or medication that can impair safe working performance). Click here to download our Health and Safety Policy pdf.